Recently sold by Leading National Licensed Property Agents Guy Simmonds is The Huntsman and Hounds, Spexhall, Halesworth, Suffolk. 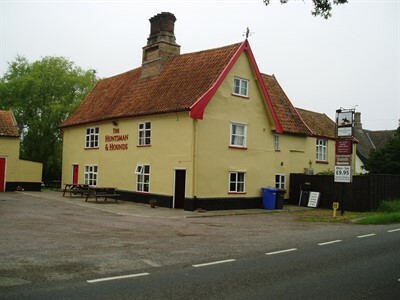 This popular and thriving country freehouse pub and restaurant is in a truly enviable main road location between the market towns of Bungay and Halesworth in rural Suffolk. This charming former coaching inn dating back to the fourteen hundreds has a welcoming atmosphere with a wealth of ‘olde worlde’ charm and character with exposed beams and inglenook fireplaces. This well established business has built up a good loyal and regular wet trade from the local community and is renowned for quality home cooked food and recognised as a sought after dining venue. It also benefits from hosting a football team, darts team, quiz nights and buskers nights and enjoys a high level of passing trade. This freehold business was sold of an asking price of £395,000 to Ian and Holly Bowner. . Selling a Country Pub? Looking to sell your Country Pub? Wanting to buy a Country Pub? Selling a Restaurant? Looking to sell your Restaurant? Wanting to buy a Restaurant?